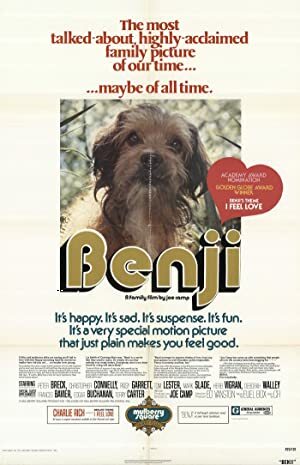 Benji (1974) – What's New on Netflix Canada Today! The first movie about the famous golden mutt. Benji is a stray who has nonetheless worked his way into the hearts of a number of the townspeople, who give him food and attention whenever he stops by. His particular favorites are a pair of children who feed and play with him against the wishes of their parents. When the children are kidnapped, however, the parents and the police are at a loss to find them. Only Benji can track them down, but will he be in time? If he can save the day, he may just find the permanent home he’s been longing for.